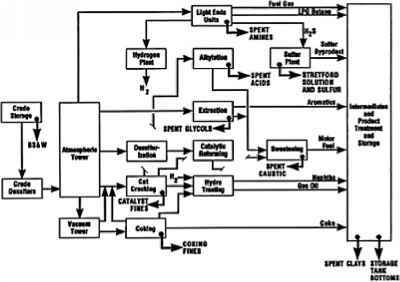 The anaerobic process is applicable to both wastewater treatment and sludge digestion. 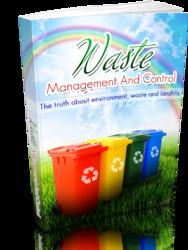 It is an effective biological method that is capable of treating a variety of organic wastes. Because the anaerobic process is not limited by the efficiency of the oxygen transfer in an aerobic process, it is more suitable for treating high organic strength wastewaters (>5 g COD/L). Disadvantages of the process include slow startup, longer retention time, undesirable odors from production of hydrogen sulfite and mercaptans, and a high degree of difficulty in operating as compared to aerobic processes. The microbiology of the anaerobic process involves facultative and anaerobic microorganisms, which in the absence of oxygen convert organic materials into mainly gaseous carbon dioxide and methane. (methane formation), short-chain fatty acids are converted to acetate, hydrogen gas, and carbon dioxide in a process known as acetogenesis. This is followed by methanogenesis, in which hydrogen produces methane from acetate and carbon dioxide reduction by several species of strictly anaerobic bacteria. The facultative and anaerobic bacteria in the acid fermentation stage are tolerant to pH and temperature changes and have a higher growth rate than the methanogenic bacteria from the second stage. The control of pH is critical for the anaerobic process as the rate of methane fermentation remains constant over pH 6.0-8.5. Outside this range, the rate drops drastically. Therefore, maintaining optimal operating conditions is the key to success in the anaerobic process . Sodium bicarbonate and calcium bicarbonate can be added to provide sufficient buffer capacity to maintain pH in the above range; ammonium chloride, ammonium nitrate, potassium phosphate, sodium phosphate, and sodium tripolyphosphate can be added to meet nitrogen and phosphorus requirements. A number of different bioreactors are used in anaerobic treatment. The microorganisms can be in suspended, attached or immobilized forms. All have their advantages and disadvantages. For example, immobilization is reported to provide a higher growth rate of methanogens since their loss in the effluent can be diminished; however, it could incur additional material costs. Typically, there are three types of anaerobic treatment processes. The first one is anaerobic suspended growth processes, including complete mixed processes, anaerobic contactors, anaerobic sequencing bath reactors; the second is anaerobic sludge blanket processes, including upflow anaerobic sludge blanket (UASB) reactor processes, anaerobic baffled reactor (ABR) processes, anaerobic migrating blanket reactor (AMBR) processes; and the last one is attached growth anaerobic processes with the typical processes of upflow packedbed attached growth reactors, upflow attached growth anaerobic expanded-bed reactors, attached growth anaerobic fluidized-bed reactors, downflow attached growth processes. A few processes are also used, such as covered anaerobic lagoon processes and membrane separation anaerobic treatment processes . It is impossible to describe every system here; therefore, only a select few that are often used in treating soft drink wastewater are discussed in this chapter. Figure 3 shows the schematic diagram of various anaerobic reactors, and the operating conditions of the corresponding reactors are given in Table 4.